A new furnace can save you some significant cash on your homes heating bills this winter. The new energy efficient systems we install today are so much more efficient than system installed just 15 or 20 years ago. 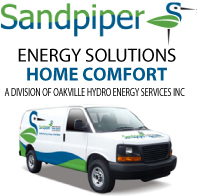 Not only will you save on your fuel but also on electrical costs. A new furnace is at least 95% efficient and has the ability to modulate the furnace fan speed saving you money on your electrical bills as well. Don’t think the fan consumes that much power? You would be very surprised as furnace fans are easily 500 watts at the smaller end; and they can get much more power hungry. Upgrading furnace systems to address your homes cold spots. Venting codes have changed with high efficiency systems, we help explain. We ensure you choose the right model to provide comfortable heat throughout your home. An in home visit enables us to give you an exact price immediately. Rental Furnace – Burlington furnace rental systems start at 39$ a month, this includes the system, installation, and all maintenance. Enjoy peace of mind on a rental furnace that offers increased energy savings on your bills. Purchase Outright – Our quotes are always free and include full installation, correct furnace sizing and the removal and return (if rented) or disposal of your old system. Equal Payments Option – Basically a lease to own option. Choose your term length and own your furnace upon completion. New furnace systems have a lifespan of 20+ years so you can expect an easy payback.